-Rotax(r) 900 HO ACETM & 1503 Engines: The Rotax(r) 900 HO ACETM incorporates crisp acceleration, impressive fuel economy and an excellent power-to-weight ratio while the 1503 provides proven reliability and great performance. -Front Storage: 29 gallons of storage space to stow important items while riding. -RF D.E.S.S.TM Key and Learning Key: Radio Frequency Digitally Encoded Security System (RF D.E.S.S.TM) key provides riders security and peace of mind. 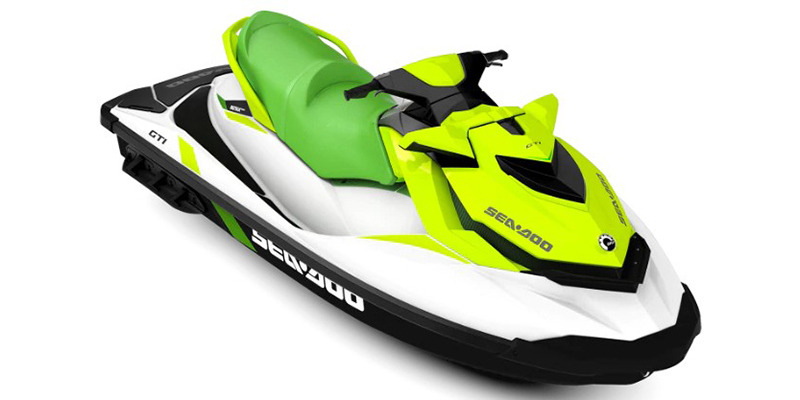 -ECO(r) Mode: This exclusive Sea-Doo(r) feature optimizes power output for up to 46% improved fuel efficiency. -PolytecTM Hull: Innovative material that reduces weight while optimizing performance and efficiency. The color-in molding is more scratch-resistant than fiberglass.